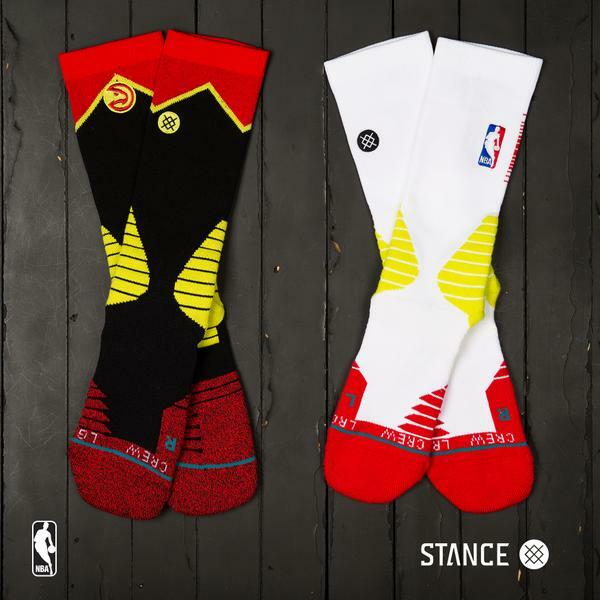 Stance Hoops and the NBA recently announced their partnership, and we finally get a look at what that partnership has assembled. 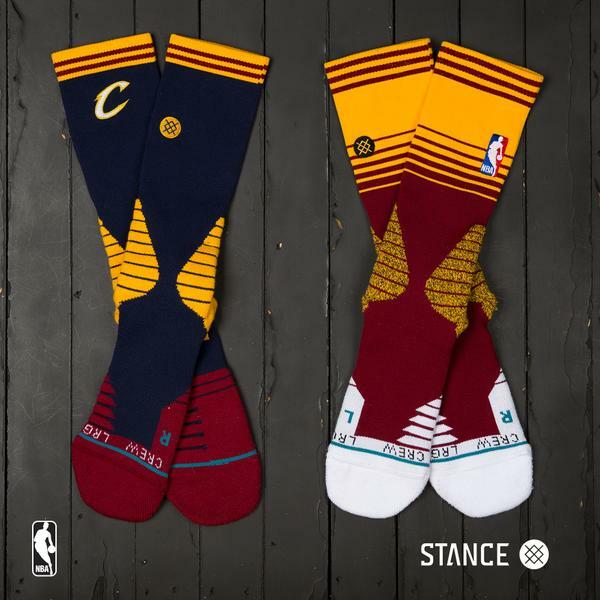 All NBA players must wear these Stance socks designed specifically for each team with team colors and all. With a few exceptions, it looks like each team will receive a home pair that is based in white with hints of color, and an away colorway that flips the script with the teams primary colors dominating and white to contrast. I’m not too sure how I feel about these socks, I love the home colorways since white socks don’t do much for me, but there is just something to wearing black on road games that feels right. Also it will be interesting to see how these socks affect sneaker colorways, if they do at all. Will on court colorways feature less color since the socks are much more colorful for years to come? Is it just me or would the home colorway of the Under Amour Curry 1 look weird with the new socks? What do you guys think? Will these new socks effect sneaker colorways? 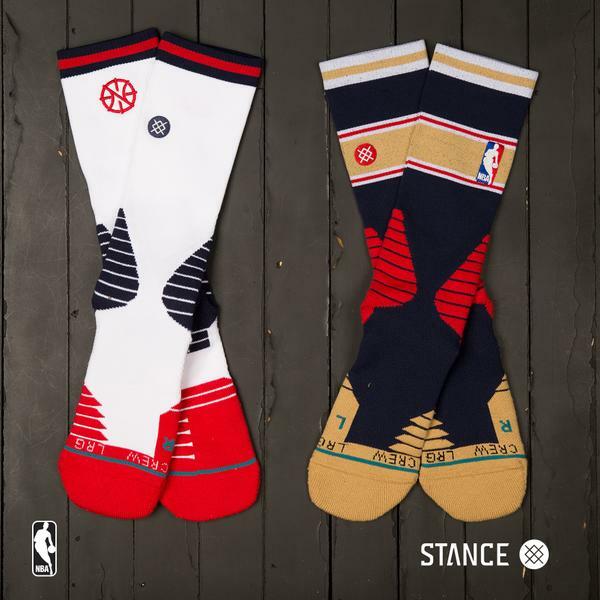 Let us know in the comments section below and be sure to tell us what your favorite team sock is, dibs on the Pelicans! why. I agree. Throwing these socks on a pair of shoes that are the same color is over kill. They look nice though quality wise. since if it’s thin, then no buy for me. Now if sneaker co. can just make some plain white, gray or black uppers with minor color detailing, then it would go with these socks. 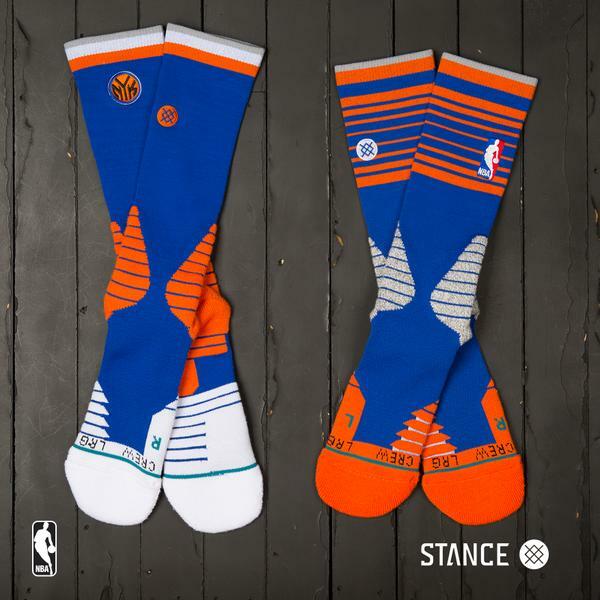 I do think they’ll still reserve this type of socks on special days like Retro or Military days and stick to the white and black Stance socks the league has been using since summer league. While I do think some of these look nice, these just seem too flamboyant for a typical game. I think these look better off for special events. I say the league stay with the black and white socks. Basic colors look more professional. i would be okay with white socks if there was some miraculous way to keep them looking clean after you put them in the wash a few times, but there isn’t, so…. 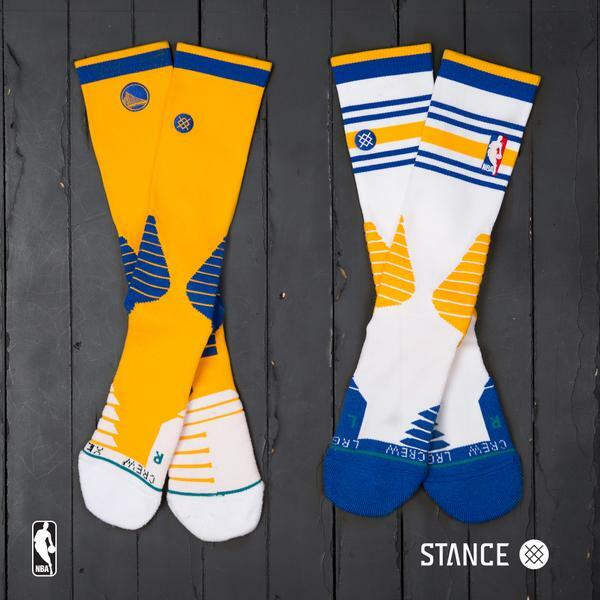 In a very ‘Iverson-esque’ way I hope the Warriors will just wear those Gold socks all the time, the White/Blue socks is too fiddly, plus any team with Gold in their colors can wear it both home, and away. so will these be worn on the court? 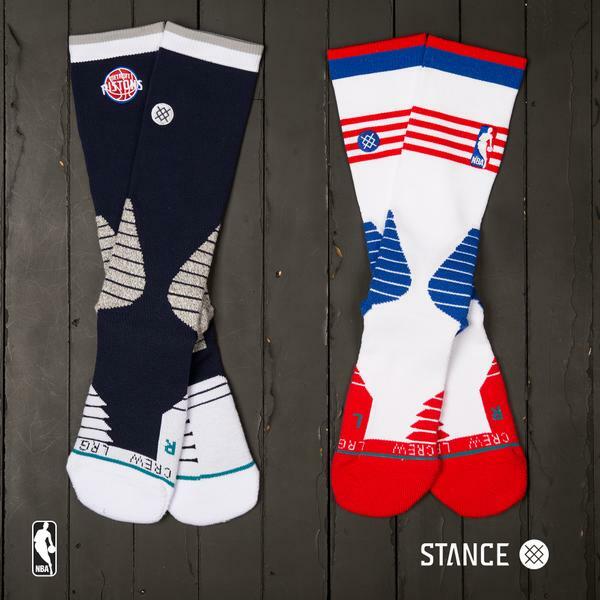 will players be wearing Stance MFG socks in White and Black color ways like they do today. is this like “UNK” making shirts and stuff – not really clear on what this relationship translates into. Yo not all players wear mid cut tube socks. They need to have ankle and knee high versions as well. The ring versions look dumb, I hope players have options of going simple or like Amy whinehouse, go back to black. so if j was a hawk player on the road would I have an option of wearing an all black sock and my teammate wear this new sock or we all wear the same stuff, not sure why this bugs me. First of all I have never found a stance sock in xl or xxl because their stuff sits way too low on my calf and I prefer a much higher sock. I know socks have become a “thing” but most people don’t mess with printed socks a specially ringer tops. I feel the legs break up the look and what lets the kicks stand out and with sock game now going into play the league is gonna look different – I’m good with Achilles prints but ringers? Rant rant rant mibad.